Today this post is about Charming Tale's Fairest Of Them All Collection, just in case the title wasn't a big enough clue! Charming Tale is a new UK indie brand based in South-West London and is owned by @leasnails on Instagram. I've actually had these polishes for a few weeks, just never got a chance to swatch them but hey, I got there eventually. First up is Mistress Of All Evil, a deep purple creme with silver shimmer. It decided to start raining as soon as I stepped outside to take these photos so please excuse the raindrops. Unfortunately also because of the dreary English whether, the shimmer doesn't show up as much as I'd like in these photos. It's there though I promise! This swatch would've been two coats but I messed up a couple of my nails so painted a third coat to try and cover up the mistakes as I didn't want to start from the beginning... No topcoat was used. The next polish is Poison Apple, a deep red creme with a silver shimmer. Again the silver doesn't really show up in the photos, I'm so annoyed! I really love this shade of red. 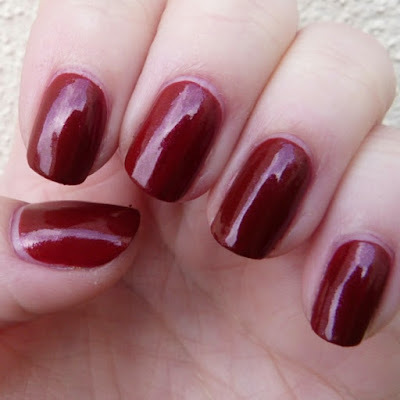 I actually only have one other red polish and that's your typical bright red so this is going to be a great one for Autumn. For these I applied two coats and no topcoat. The next polish is my favourite and is a deep blue creme with silver called The Huntsman. This is such a gorgeous colour, who knew this was what I needed in my polish collection? 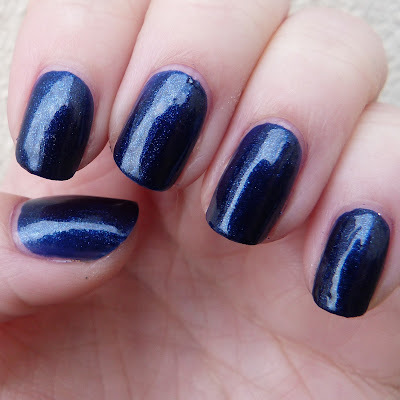 I've always been unsure as to whether I liked blue polish on me, I think it varies on the shade of blue but this is definitely one I'm going to be wearing a lot. 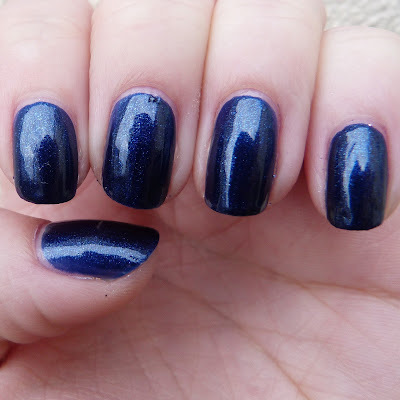 For this swatch I used two coats and no topcoat. Lastly we have Magic Mirror which is a different polish to the rest as it is a glitter instead of a creme. This was two coats, with the second one being relatively thick. You can vary it and apply however much you want though of course. 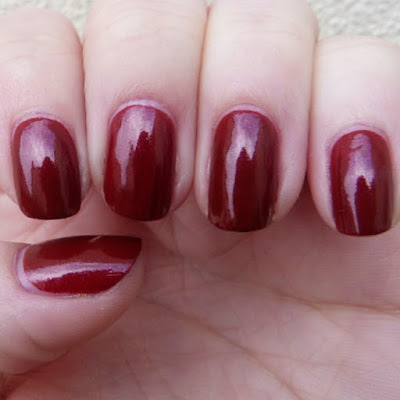 Magic Mirror is going to be another great polish to use around Christmas time! Overall I was really impressed with these polishes, the formula was great, they all applied super easily and only needed two coats. 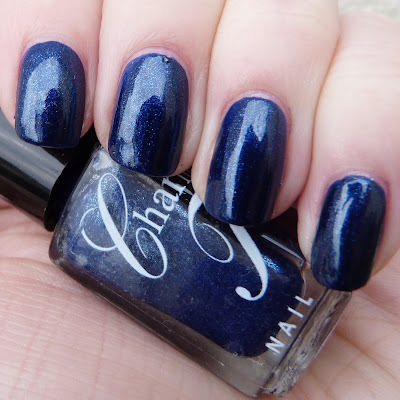 All of Charming Tale's polishes are 5-free and cruelty free, what more could you want? !